Following his testimony on Tuesday before the House Subcommittee, Attorney General William Barr appeared on Wednesday before the Senate Appropriations Subcommittee. Much like Tuesday hearing, this hearing had questions regarding the Special Counsel Robert Mueller’s report, and it’s impending release with redaction’s.
.@SenatorLeahy: Did you have any conversation with the special counsel about why he did not reach a conclusion…on obstruction? Pressed on how Barr, not Mueller, reached the conclusion that President Trump did not commit Obstruction, he said, he would explain more in detail after the release of the report. SEN @ChrisVanHollen: You concluded Trump didn’t obstruct justice. Do you agree with Mueller that the ‘evidence presents difficult issues of law and fact’? 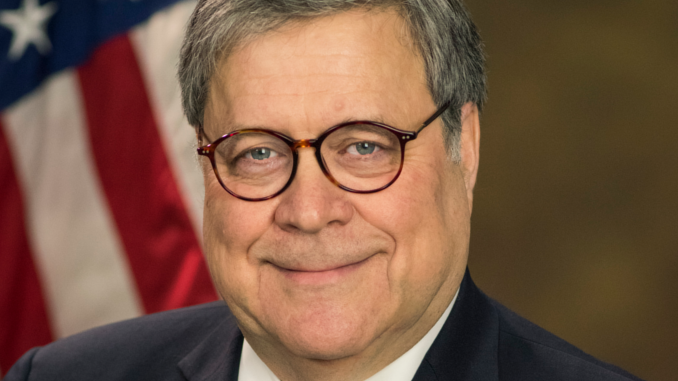 As the News Blender reported on March 24th, Barr released what he called a summary of the principle conclusions based on the Mueller Report. For what it’s worth: Barr says in part, when further pressed to explain how he reached the conclusion that President Trump did not commit Obstruction of Justice, in his summary, he answers, “I did not put my view of the report [in? ],” he then shakes his head appearing confused by the question, which is as I stated, how did he-Barr, not Mueller reach the conclusion that President Trump did not commit criminal Obstruction of Justice. He finishes by again stating he will explain himself after the reports release. There is some reporting that one of the concerns Barr has over the original investigation was how come the Trump campaign wasn’t warned about Russia’s attempt to infiltrate the campaign(s) to interfere with the 2016 election. The closest thing I can come up with is an exchange he has with Senator Lindsey Graham regarding the FISA app process. Rep. Jerrold Nadler, the Judiciary Campaign chairman responded to Barr’s “spying” comments via Twitter.